Description: UML component diagram shows components, provided and required interfaces, ports, and relationships between them, which are used to describe systems. Get started with this product system component diagram and document your system components with simple formatting of shapes and connectors. 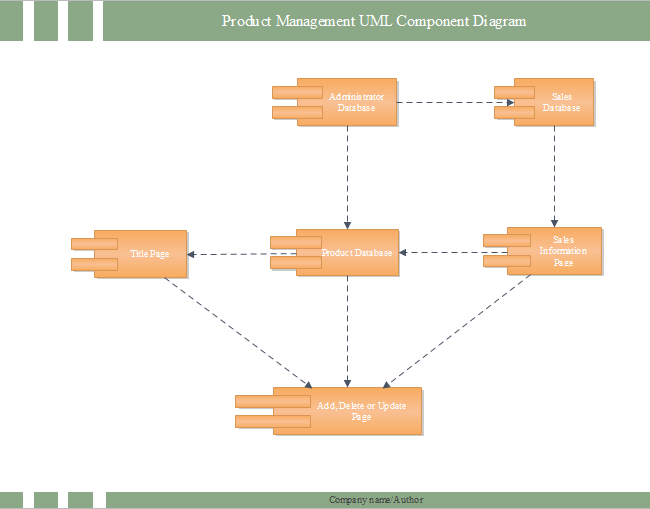 Free download UML diagram templates in the professional content sharing community. With Edraw Max, you can edit and print the free UML diagram template for personal and commercial use.